The series provides a peek into the world of crime through a look at the operations and executions in an elite serial crime unit of FBI that traces serial-killers and rapists. Where can you stream Mindhunter? On 2017-10-13 Drama/Crime TV Series Mindhunter first aired on Netflix. 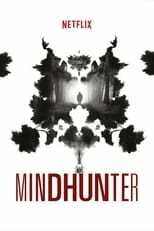 Written and created by Joe Penhall, and produced by Jen X Productions, Inc. & Denver and Delilah Productions, Mindhunter will return and was last broadcasted on 2017-10-13.